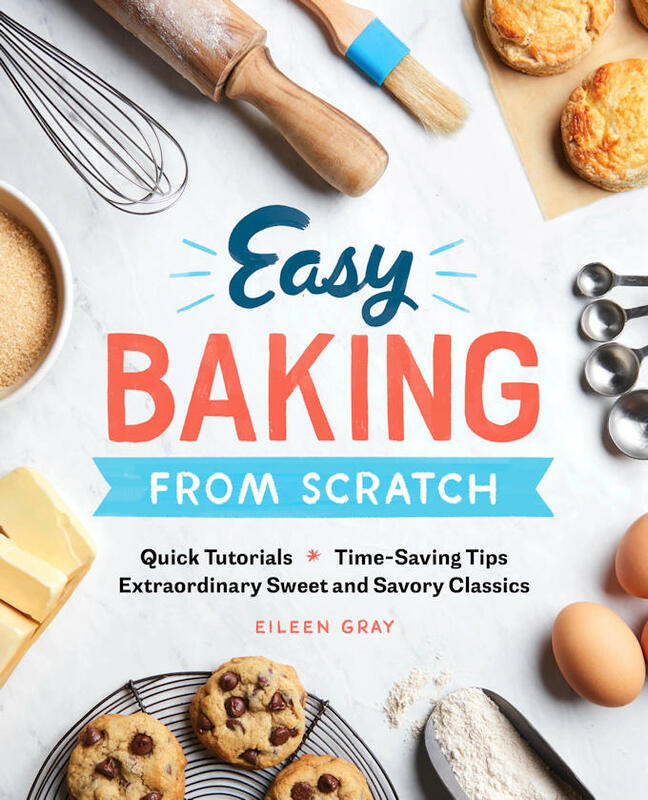 I’m thrilled to let you know that my book Easy Baking From Scratch: Quick Tutorials, Time-Saving Tips, Extraordinary Sweet and Savory Classics goes on sale September 4th and is now available for preorder! Many people are intimidated by the precision and technique of baking, but I’m here to say that you don’t need to be a top pastry chef to make baked goods from scratch. In Easy Baking from Scratch I offer the easiest recipes, time-saving tips, and quick tutorials so that anyone can bake homemade treats. Thirty years of baking, writing and blogging have finally led to this moment. I know this sounds kind of dramatic, but it’s true. I’ve had a bit of a long and winding career road. Sorry, I don’t usually do the self-confessional type of blog posts. But I can’t help reflecting on how I got to the point where my first cookbook is being published! Back in the late 80s, you know the days of big hair and big computers, I worked for a computer software company installing these new-fangled “shared” computer systems in hospitals. It was a well-paying job, but I knew I was in the wrong world. With my husband’s support I quit my corporate job and enrolled in culinary school. I entered the pastry program because much as I loved (and still love) to cook, baking was (and is) my real passion. 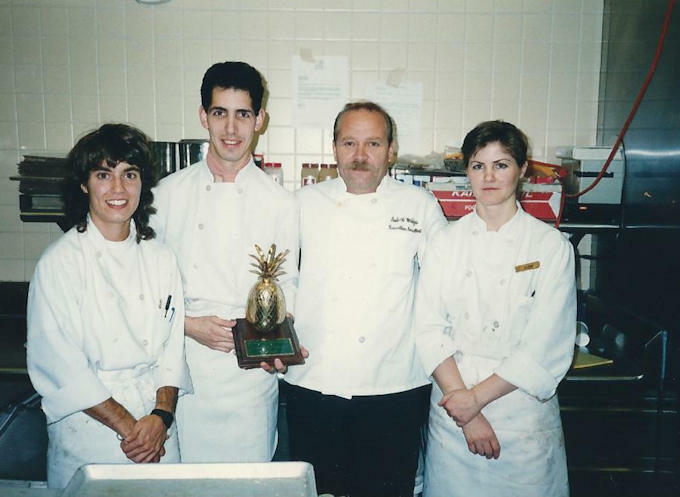 I was the assistant pastry chef at The Hotel Atop the Bellvue in Philadelphia. I began my pastry career with a goal to some day run my own business. I worked in hotels, restaurants, and even at a British tea shop. At one point I had to take a year off when my father got sick. After he passed-away and it was time to go back to work, I was at a cross-roads. I wasn’t sure I wanted to go back to the demands (on my body and my time) of working in the kitchen. Once again, I went back to school. It was time to finish my bachelor’s degree. While I pursued a BA in English, I dreamed that I could somehow combine my pastry and English degrees to build a career in food writing. Maybe someday I would write a cookbook. I took a “part-time” job at a local caterer to make a few bucks while I looked around for opportunities. Well, if you’ve ever worked in food-service you know that there is really no such thing as “part-time”. Before I knew it I was back to working holidays, weekends and spending long hours on my feet. On the other hand, the moment I stepped back into the kitchen and buttoned my chef’s jacket, I felt at home. After a few years working long hours for others, I decided to open my own business. 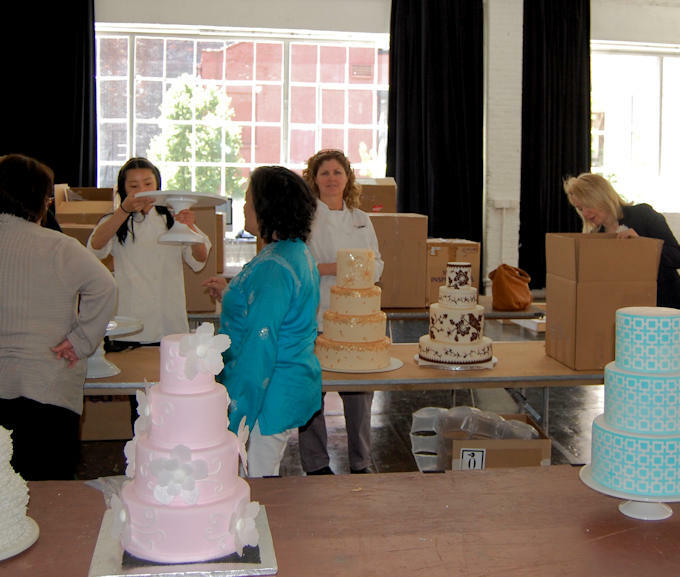 For 10 years I loved growing and running my custom cake bakery. It was more successful than I’d ever imagined it would be. Every once in a while, my husband would casually remark that I should start writing a blog. In early 2015 I started thinking about a blog as a new career path. For 2 years I wrote the blog part-time with the intention of gradually retiring from my cake business and blogging full-time. At the end of 2016 I took the plunge, closed my business, and started blogging full time. At that point I was making basically nothing from the blog. It was a total leap of faith. Once again I was supported in this decision by my ever-patient husband. Pretty soon my traffic started to build and I was able to join the Mediavine Publisher Network. I went from making pennies per day (seriously, pennies) to making a respectable little bit of money. 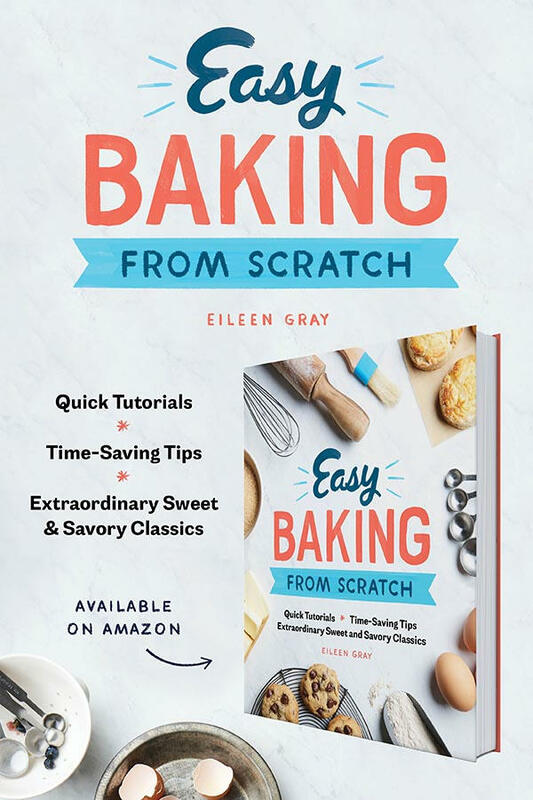 Along the way the blog caught the attention of the folks at Callisto Media and I was offered the opportunity to write my first cookbook, Easy Baking From Scratch: Quick Tutorials, Time-Saving Tips, Extraordinary Sweet and Savory Classics! I truly feel that all my career experiences came together for this project. My early computer experience taught me not to fear technology so I could run an on-line business. My 30 years of professional baking made creating, testing and perfecting over a 100 recipes in just a few months doable. I was used to grinding it out in the kitchen. My mid-life college experience set me up to buckle down and get the chapters for the book written with very tight deadlines. Life is funny. Sometimes you end up exactly where you wanted to be all along despite the twists and turns along the way. In fact, not to be corny, maybe it’s the twists and turns that get you there. Thanks to everyone who visits and follows my blog. I hope you find the recipes and baking science information helpful. If you do, I think you’ll like my book. From basic kitchen prep to time-saving tricks, my baking cookbook helps you develop essential baking skills with step-by-step baking techniques and tutorials. With over 100 simple baking recipes for classic baked goods, Easy Baking from Scratch is your go-to reference to cook from scratch without scratching a single batch. I believe that everything tastes better when you add the personal touch of baking from scratch. For bakers of all levels, Easy Baking from Scratch offers the easiest recipes and techniques to whip up classic, sweet and savory treats that you can proudly say you made. Click to learn more and preorder your copy of Easy Baking From Scratch. Even if you’re already a seasoned baker, consider buying a copy to get 100 reliable recipes, or you can buy it as a gift for a friend or family member who you’d love to share the joy of home baking with! I will buy a copy but would love to get it autographed for Debbie Bell, please let me know if you are doing a signing someplace. Congratulations Eileen!! What an amazing career path you had, I’m so glad your hard work paid off and you are able to achieve the goals you set out to do. So proud of you Eileen! Thank you for your advice and willingness to help new bakers with the same passion.